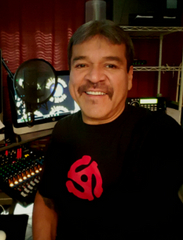 Larry is a tribal member of the Ho Chunk Nation, Black River Falls, Wisconsin, and program host and producer of the "Indigenous in Music" Radio show is recorded every week at the Two Buffalo studios in Sarasota, Florida. Larry currently serves as President/CEO of Two Buffalo Construction Supplies. He has served as President of the Indigenous Internet Chamber of Commerce 2005-2011; South Minneapolis Rotary Club 2001-2002. He has been named 2005 Entrepreneur of the Year from the American Indian Economic Development Corporation and 1999 Entrepreneur of the Year from the Minnesota American Indian Chamber of Commerce. Larry was a participant in Leadership Twin Cities Class of 2001; a Greater Minneapolis Chamber of Commerce Program, He has received Employer of the Year from American Indian OIC, and Outstanding Leadership and Achievement awards from Rotary International, and American Indian OIC, for his work in helping the local talent, establishing employment and on-the-job training. Larry has served as director of March of Dimes, Minnesota Chapter, American Indian OIC, Minnesota State Council OIC, Lake Street Council and the Minnesota American Indian Chamber of Commerce. Larry is currently available for new projects, has a car, and is available to travel Within my country. Two Buffalo is now a LED Lighting wholesaler of tubes, lamps, street lamps and retrofit kits.